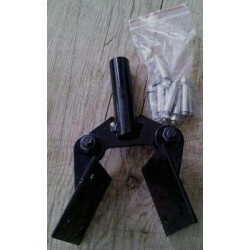 FREE ADJUSTABLE ROOF MOUNT Included ! 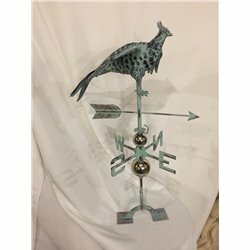 The pictures simply do not show the size nor the beauty of these Weathervanes! The Patina colors are in shades of Blue and Green with the underlying copper color visible. Use on Barns, Homes, sheds or indoors as decoration or ART! 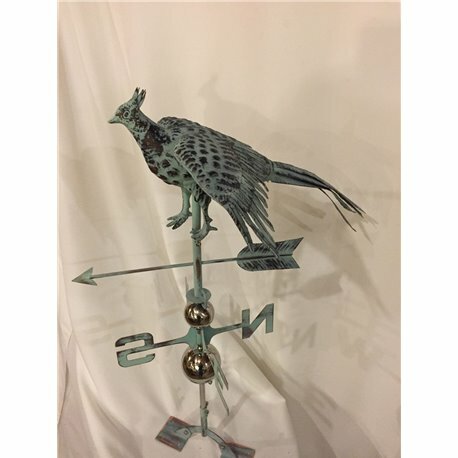 Most weathervanes are made from a machine that presses the sheet of copper to make 2 sides that are then welded or soldered together. These WEATHERVANES are handcrafted from a mold and HAND hammered from a pattern mold to make the animal. Each can and will look slightly different. Handmade and HAND -Hammered crafted animal!